The resort skiing landscape has changed a lot over the last thirteen years. Just how much untracked powder are you still able to ski from the lifts these days? I arrived in Furano in the 03/04 season armed with some light-weight touring skis, expecting to be guiding the Daisetsuzan National Park. The highest mountains and volcanoes of Hokkaido must surely attract a backcountry market, or so I thought. The reality, was that the most of the clientele in Furano at the time, looked on skinning for turns like a cat looks on water. Subsequently, the touring skis were shelved for fat powder skis. It didn’t matter. Part of the reason for backcountry skiing is to ski untracked turns. In Hokkaido back then, you really didn’t need to. Resort skiing was like heliskiing, without the helicopter. I would alternate guiding Asahidake and Kamui Ski Links. 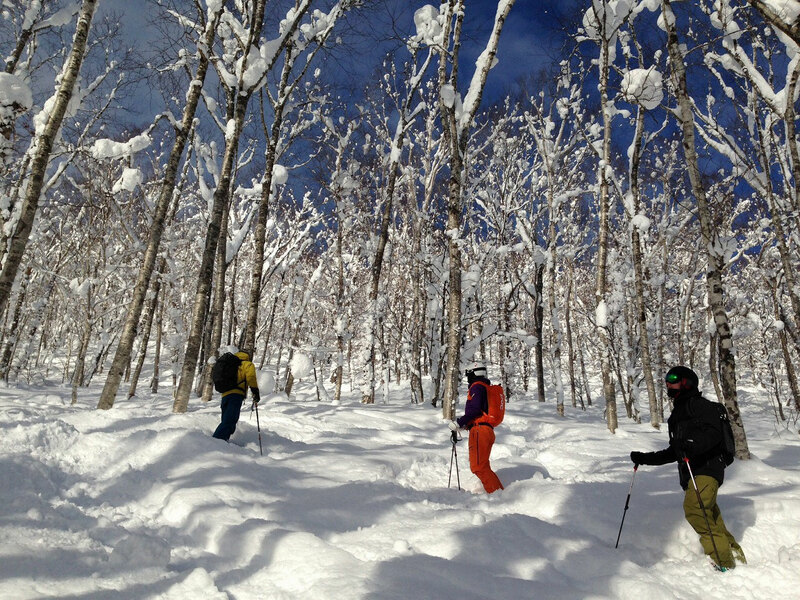 Whenever we skied off the backside of Kamui, it would be untracked, and regular precipitation kept it that way. 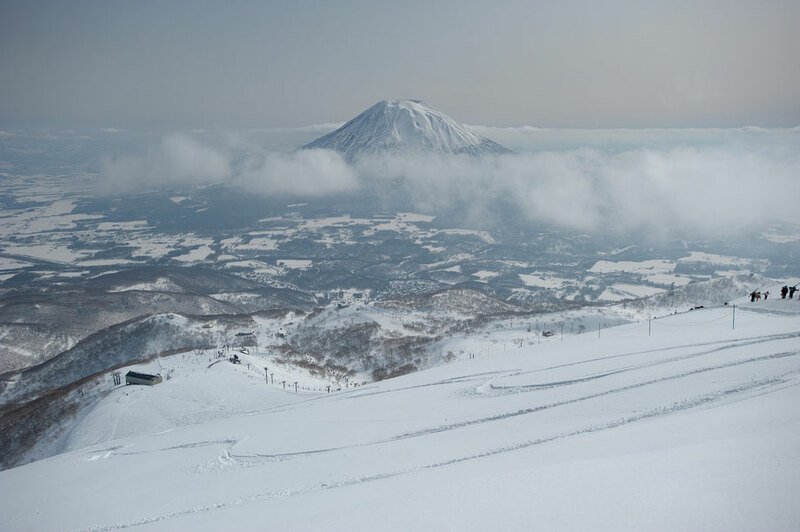 At Asahidake during the week, there would be us, and maybe a few other locals. 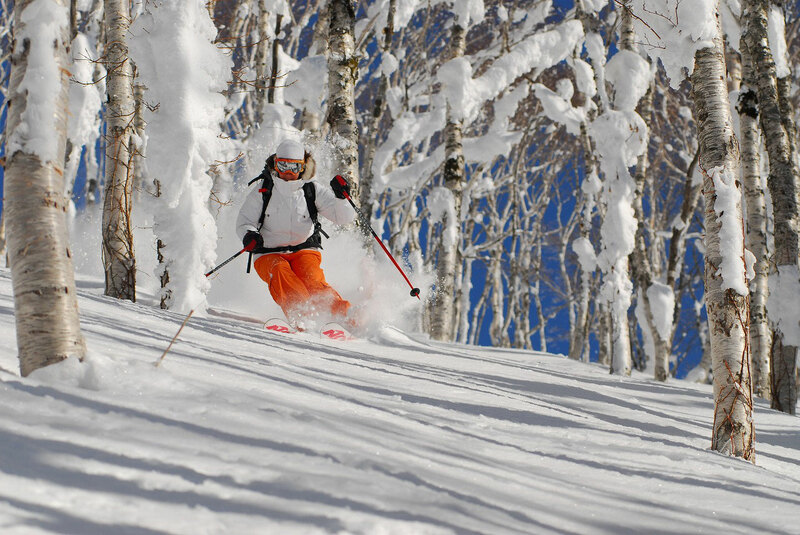 On powder days in Furano, there were the same five or so regulars waiting for the lifts. These days, you can expect at least a few hundred on a powder day. So, the biggest change has been skier numbers. 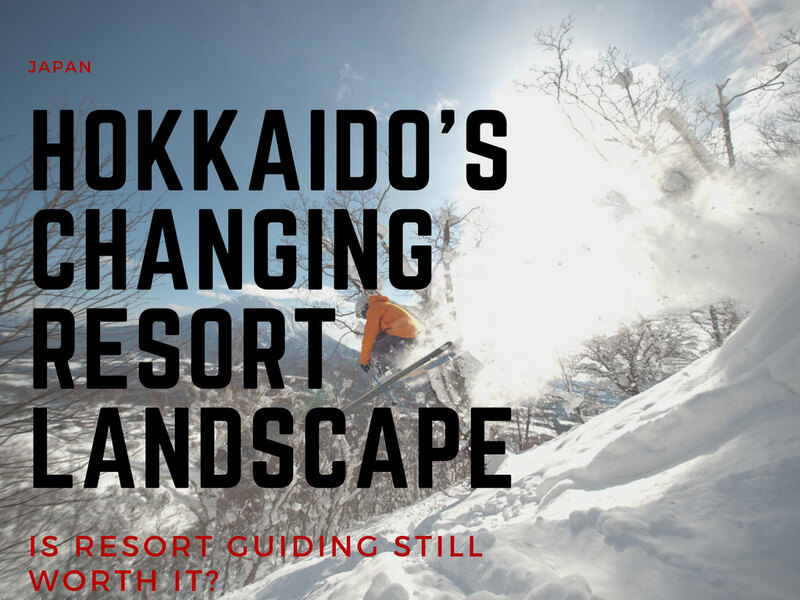 Hokkaido has been on the radar for a few years now and the number of powder skiers has increased exponentially. While the ‘new carpet’ covering of a fresh snowfall still comes with the same regular frequency, resorts are getting tracked a lot quicker than before. It was inevitable. We have always sought quality with the products that we offer. Trips have been built around the ski experience of untracked turns. Now, more than ever there is demand for resort guided trips. Are they worth it? The answer is yes, with a few caveats. Skins are essential if you seek all day untracked snow. The other is be open to a day of backcountry skiing if there has been a number of days without precipitation. A typical day at a resort for us would be to enjoy all the untracked turns that we can from the lifts, before we venture out of the resort. So now, I am always on touring skis. Not as lightweight as the original skis I brought here. My resort skis are 120 mm underfoot, mounted with tech bindings. From the size of the skis you would imagine that we don’t hike very far. You don’t actually need to.